I am here for your council, based on a selection of case fans. I am aware of the various CFMs and dBA levels that the charts provide, but I imagine them to be potentially different in real life practicality. Do you think? I've read that I should use something like 2 GentleTyphoons for the corsair H50 I have, and use scythes for the 4 120mm case fans (the 140's are a toss up). There's a lot of options to mix and match, the xigmateks sounds good, but I'm not too keen on them; I'd definitely take them if they came out on top though. I'm not necessarily interested in noctuas due to the price and the debated effectiveness compared to my fan selection. I'm open to all your suggestions and personal experiences! Well, for the radiator fans I'd recommend Yate Loons for the sheer fact that they move a good amount of air at average decibles...but for very cheap. The Typhoons are nice as they are good for both case/radiator cooling. I have 2 S-Flex running on my TRUE and I like them both. They are quite nice and good design with a long MTTF. I have the Scyth Kaze for my case fans, they run good but a little loud so if you go that route you might want to grab a fan controller. NCIX.com - Buy Yate Loon D12SL-12 120MM RED/BLACK Fan 1350RPM 47CFM 28DB 3/4PIN Sleeve Bearing OEM Sleeved Retail - D12SL-12-RED/BLACK In Canada. 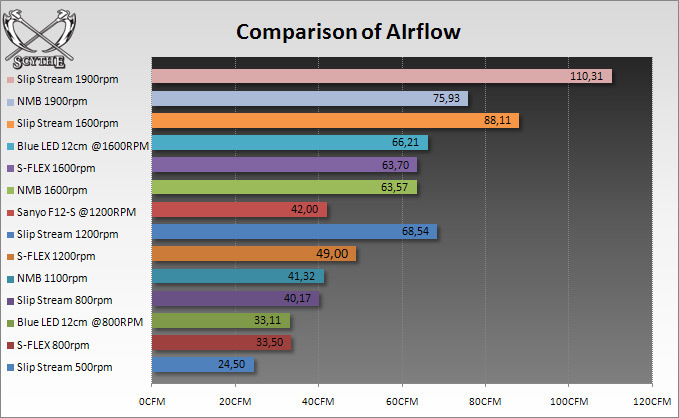 The xigmateks move 61cfm with <20dBA at 1500rpm (or so they claim), and the 140mm versions claim to move 63.5cfm at 16dBA at 1000rpm; anyone have experience with these? I'm aware that you'd want great airflow for your radiator, but as far as case fans go for cfm, should intake be higher than the exhaust? Last edited by teamfap; January 28, 2010 at 05:44 PM. I personally would take the Gentle Typhoons for the case and the rad - 1850s on a fan controller myself. I have also used the SFLEX "G"s, which are really great... on a fan controller! Those "G"s can be quite loud at full speed. If you don't want to use a fan controller, the SFLEX "F"s are not bad. Appreciate the input, more opinions please! What exactly is the fascination with the yate loons? Not to sound aggressive or anything, I just haven't heard of them since I did this new build (2 years between builds). Last edited by teamfap; January 28, 2010 at 10:04 PM. Last edited by teamfap; January 28, 2010 at 10:59 PM. 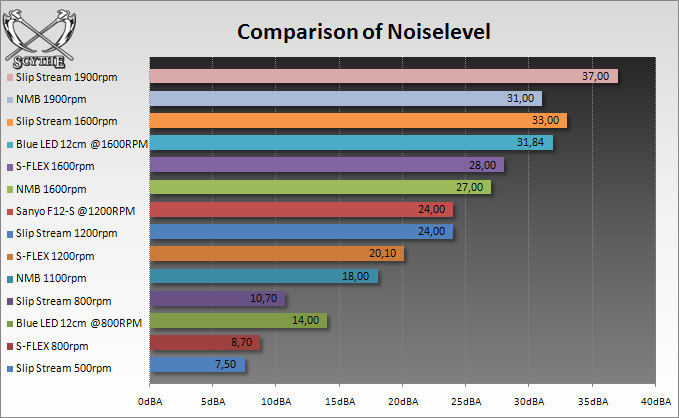 Noise....?..quite reasonable really, but hey, when my GPU's are working hard all you here are the GPU Fans.